Cash flow management is the foundation of any successful business. Farming is no different. In this era of farm development, expansion and diversification, cash flow management is even more crucial. With this in mind, ThinkBusiness has designed a simple to use, but effective agricultural cash flow planner. It will help you predict the inflows and outflows of your farm business cash. It will also come in very useful when you make an application for a bank loan or credit facilities. DOWNLOAD: A cash flow planning guide. Why else should I use it? When you need credit, it will make the credit application process as simple as possible. A completed cash flow planner is something your bank manager will appreciate when it comes to discussions about your future funding needs. In short it can ensure you get the support you need to survive and grow. The next six to 12 months may prove challenging for some farmers within certain agricultural markets. 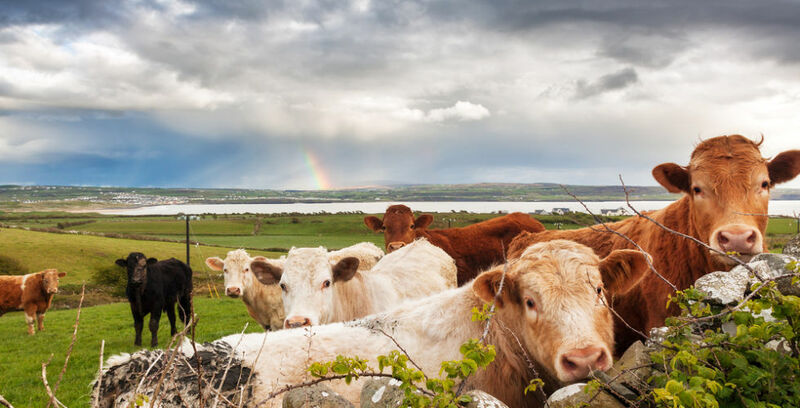 Brexit and its impact on currency markets is particularly critical to the Irish beef sector. Irish dairy farmers supplied over seven billion litres of milk in 2017 and with further growth anticipated in 2018, there will be continued investment in farm buildings and infrastructure to support this extra production. With milk prices expected to fall in 2018, some may require cash flow support from their bank. Commodity price volatility can have an enormous impact on individual farmers. For example, a year-on-year five cent per litre decrease in milk price for a dairy farmer supplying 500,000 litres annually, is a €25,000 reduction in annual turnover. To speak with an advisor on how to grow your farm, go here.